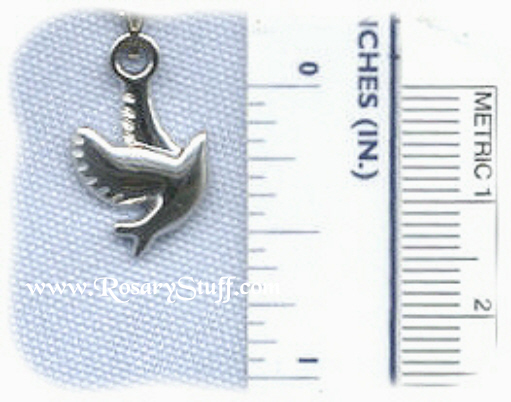 This silver plate dove charm with neck chain is approximately 3/4 inch tall by 1/2 inch wide including the ring. To help with size clarification, it is pictured next to a ruler showing inches as well as millimeters. The price is for 1 charm with neck chain.